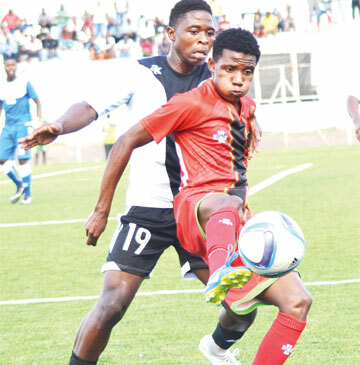 TNM Super League giants Silver Strikers and Nyasa Big Bullets are engaged in a dog fight over the signature of talented Malawi under-23 national football team youngster Peter Banda. Bullets were in pole position to sign the player but reports suggest that Silver have tabled a lucrative offer trying to hijack the deal. The player’s uncle, Griffin Saenda Jnr, has confirmed that the two clubs are fighting for the versatile attacker. “Chances of Peter signing for either Bullets or Silver are 50-50. But I want him to join a club which will appreciate his talent and nurture it. Other clubs are just good at signing players but end up destroying them,” Saenda Jnr said. Both Silver General Secretary Lawrence Yobe and Bullets Chief Executive Officer Fleetwood Haiya were not available for comment. Banda has travelled to Zambia with the junior Flames for a second leg under-23 Africa Cup of Nations match Sunday. The son of former Bullets midfield dynamo Chikondi Banda had unsuccessful trials with South African giants Orlando Pirates and Bidvest Wits last year. He also went to Belgium for trials at Club Brugge alongside Precious Sambani.